It was on Bali, the island of Gods, that Stacy Stube’s true passion comes alive through fashion. Inspired by the colorful traditional dress, the Indonesian American went on to create the luxury fashion house of Elsa Fitzgerald. 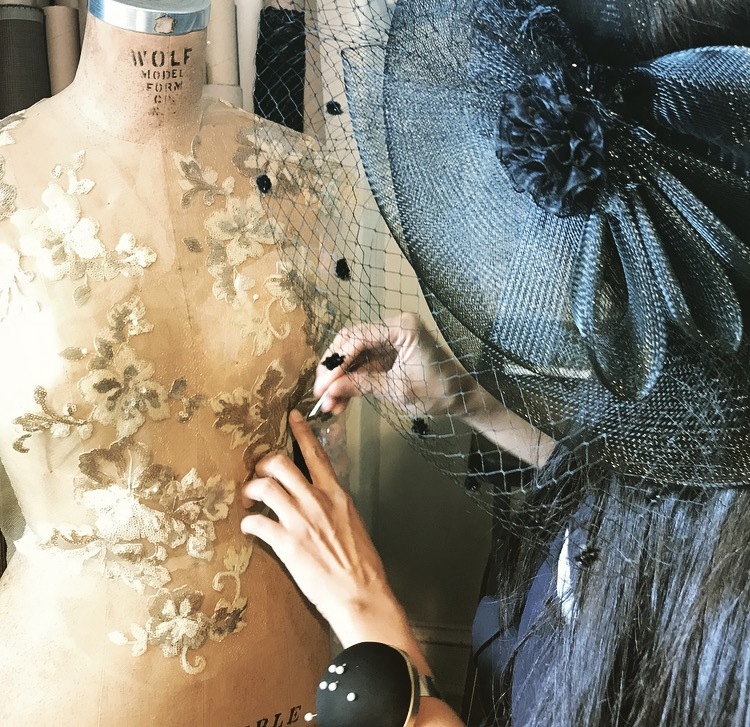 The technique for this fine dressmaking is a process where the fashion artist paints with lace when applying the floral lace motifs to dress form. The pieces are then individually hand sewn together to combine as one garment entirely as a patchwork of lace. In "Art of Lace," fashion designer Stacy Stube combines the aesthetics of 1920's glamour with traditional Balinese bridal wear. Stacy has spent 17 years working in the fashion industry between the United States, Europe and Asia for brands such as Burberry, Alexander McQueen, Temperley London, Club Monaco and Hugo Boss. She is the founder of luxury fashion house of Elsa Fitzgerald. The designer has returned to her hometown of Baltimore, Maryland to revive the garment industry through her work between the University of Baltimore Center for Entrepreneurship & Innovation and the Maryland Historical Society - Costumes Archives. Elsa Fitzgerald Fashion Film - Tower Raven from Stacy Stube on Vimeo.